In the early Middle Ages the abbeys of the Liègeois were a beacon of Benedictine identity at the northern borderland of western monasticism. The axis that arose between Stavelot-Malmédy and Liège was an anchor, first for pioneers, holding firm against waves of pagan Magyars, and then for pioneer reformers. 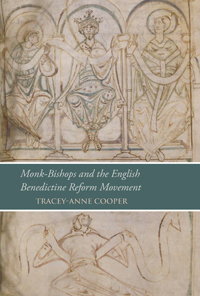 Its role in the monasticisation of the northern church, in securing the hegemony of the regula Benedicti, and in propagation of observant reform, was recognised in the earliest histories of the order and has continued to attract critical studies, most recently as a crucible for modes of clerical leadership in an age when the competing claims of church and secular lordship were constantly tested. Yet it might be said that for many historians they have become fixed in the high medieval domain on which they made such an imprint. Their continuing contributions to leadership, to reform and, indeed, to the transmission and reception of Benedictinism, have not featured in surveys of later monasticism. In part this is a result of a general neglect of northern regions in favour of central and southern Europe whose congregations and unions - Monte Morrone, Melk, Bursfeld, San Giustina di Padua - have been allowed to claim a monopoly of monastic renewal and reform between the fourth and fifth Lateran councils. It also reflects a certain critical limitation, a tendency to carry a template shaped by the circumstances of the tenth and eleventh centuries into the very different environment of the late medieval monastery, transformed not least by the culture and customs of scholasticism. Where once it had been the charters and codes of charismatic abbot-prelates that most clearly gave expression to new forms of the monastic ideal, now current, and cutting-edge thought was more likely to be found in the personal anthologies of readings and original writings that individual monks made for themselves. The volume presented here provides a portal into one of the most remarkable of all these late medieval anthologies, made by Jean de Stavelot, monk of Saint-Laurent de Liège, between 1432 and 1437. 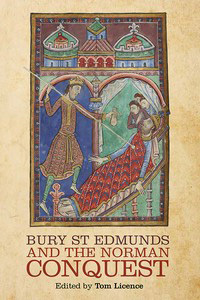 Jean's book amounts to nothing less than an illustrated history of Benedictine identity: it combines the rule itself and a staple of claustral instruction - Hugh of Fouilloy's Liber de rota verae religionis - with Jean's own formulation of a Vita Benedicti accompanied by an extraordinary sequence of some number miniatures, crowned with a genealogical tree representing the descent of Benedictine lore from the founder to the family of congregations and orders he inspired. The manuscript was an object of connoisseur interest from the moment it was cut loose from its conventual setting in 1795; after passing through the hands of collectors it arrived at Chantilly in 1870. 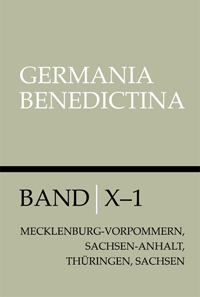 It was the subject of a pioneering facsimile prepared by Léopold de Lisle in 1908 and Jean's version of the Vita Benedicti was first printed in 1937. Until now, however, there has been no systematic study of all the texts contained in the anthology, nor any attempt to place it in its historical setting, a fifteenth-century moment of Reformbestrebungen which carried echoes of Stavelot's high-medieval heritage. 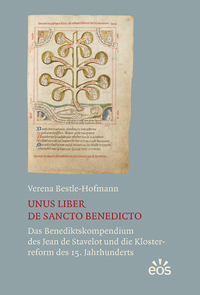 Jean's liber de sancto Benedicto, as it was described in its time, is the prime document of a campaign for claustral reform that aimed at the revival of observant monasticism at Liège in the opening decades of the fifteenth century. Jean's own annal of these years, written in his native French, describes how by the beginning of the new century conventional conventual life had all but disintegrated as 'tous les moynes queroient et avoient leur singulariteit et provendes'. Following the further attrition of an outbreak of plague in 1409, Henry Ade came from Saint-Jacques to take up the abbacy and rebuild, both the fabric and the form of monastic life: 'ilh ragumentat (règlementa) la religion', as Jean expressed it. In fact, weighed against other records, Jean's representation of Abbot Henry's first response appears over generous. His energetic and open recruitment of a new generation of novices raised numbers but not the standard of their regular life. The external direction of an episcopal visitor in 1427 established a new threshold for the professus, to have been taught their scripture and their rule and to be sufficiently Latin literate (sufficienter literati) to be capable of independent study; if they fell short at the point of presentation they were first to be acclimatised in a setting already reformed, such as Saint-Jacques. It was in the wake of this turn from the renewal of the buildings and population of the monastery to its mind-set, that Jean's liber was made. It was marked by the commitment to the formation of youth which had been the defining feature of Abbot Henry's original vision. As Bestle-Hofmann demonstrates, the illustrative scheme was intended as a teaching tool in its own right. In the composition and placement of the images Jean was touched both by past and present: he drew on the order's own established patterns of visual pedagogy but also channelled contemporary currents, not least the Biblia pauperum which would be popularised in print in the quarter century after his book was finished. 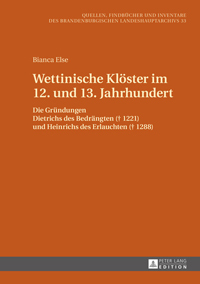 Above all, Bestle-Hofmann argues it is the weight of tradition that is sustained in the textuality and iconography of the book. Jean was a copyist and compiler and as her analysis lays bare, leaf by leaf, his book was an ultimate work of reproduction, offering a single-volume synthesis of the verbal and visual discourse of claustral manuals produced over the past three centuries. 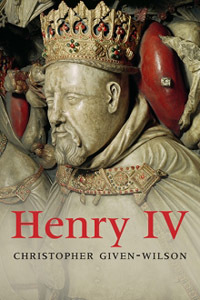 He cannot be regarded as an original scholar. His miracula Benedicti include six not found elsewhere but clearly these represent the interpolations of a compiler who had seen many such codices rather than the inventions of a new voice in monastic hagiography. In the same way, his selection and manipulation of image templates which can be traced back to the twelfth century speak of a copyist who had mastered his models, not an original artist on the brink of the quattrocento. 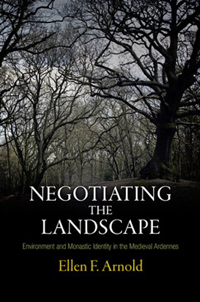 Bestle-Hofman's comprehensive account of the texts and images and their underlying earlier models not only enables us to navigate a manuscript which might otherwise appear out of place and time but it also presents a point-of-entry into a largely unexplored territory of a late medieval northern reform. Scholars will be grateful for the combination of catalogue-quality descriptions and full-colour displays of the sequence miniatures but it is disappointing that this has crowded out a deeper critical engagement with the connected historical questions, especially the place of this expression of monastic formation in the fifteenth-century monastic renaissance, and in the long tradition of Saint-Laurent's Flemish heartland.